The world famous Edinburgh International Festival has kicked off, beginning three weeks of the best the arts world has to offer. The Fringe Festival has countless alternative, weird, and wacky events happening all over the city, and the Edinburgh International Book Festival is underway. Throughout the Book Festival we’ll be bringing you sneak peeks of our authors’ talks and backstage debriefs so that, even if you can’t make it to Edinburgh this year, you won’t miss out on all the action. I’ve just had a great time at the 2012 Edinburgh International Book Festival, even though it was a rather strange experience for a mathematician. In the Author’s Yurt (sic), for example, I was surrounded by fiction writers, with lots of pointy beards and wild hair. As it happens, I used to write detective stories when I was a young boy, so once had vague dreams of becoming a fiction writer myself. But it was not to be. And now, after an academic career at Oxford, I find that I am an author of a rather different kind. Who says maths can't be taught through the medium of music? 1089 and All That is my first ‘popular’ maths book, aimed at the general public. It is a light-hearted and somewhat quirky account of the biggest ideas of the subject, which — as I see it — means (a) wonderful theorems, (b) beautiful proofs and (c) great applications. (And, preferably, all three things at once.) Above all, perhaps, I try to convey the element of surprise in mathematics, particularly when unexpected connections arise between different parts of the subject. I’ve lectured on this book before but Edinburgh was a bit different, because I was part of the RBS Schools Programme, so I knew in advance that the audience would be pupils and their teachers. But my lecture had been advertised for a wide age range, so I wasn’t entirely sure what to expect. Twenty minutes before the lecture, in Charlotte Square Gardens, the audience started to arrive, and I peered out of the Author’s Yurt. The children looked very small. The average age was about 10. I began to get nervous. My lecture had number tricks, practical demonstrations, a bit of audience participation, and, at the end, the electric guitar. But it also involved some quite deep mathematical ideas. So, five minutes later, I peered out again. Thankfully, it all seemed to go well enough in the end. But what really surprised me were the questions afterwards. There was no stopping them. Some, like “How long have you been playing the guitar?” (53 years), were predictable. But there were several on maths (“What’s your favourite equation?”) and many more on the actual process of writing the book. In fact I began to wonder afterwards how many budding young authors there had been in the audience. And, in retrospect, I wish I’d asked them. 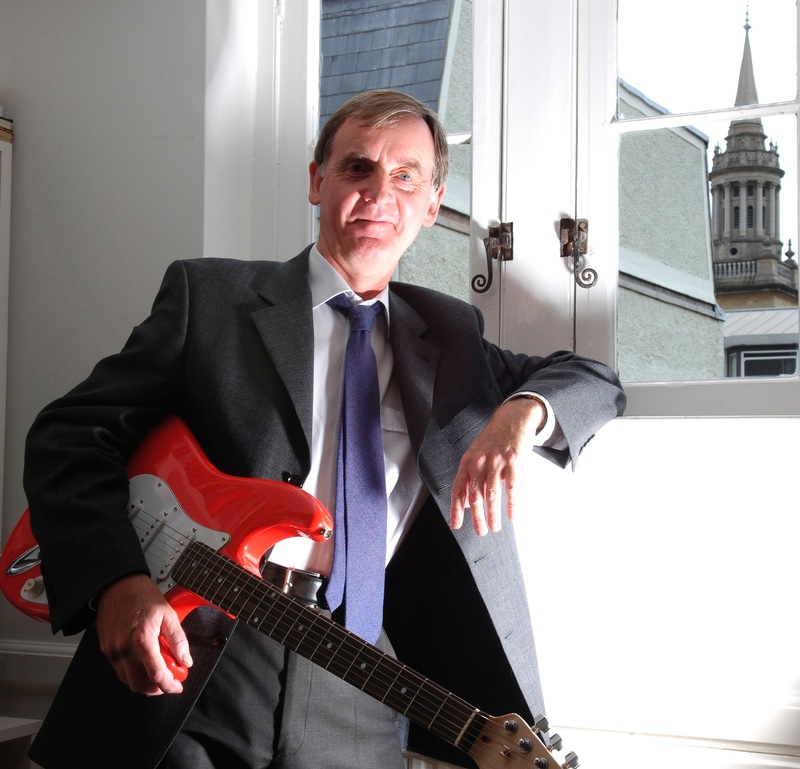 In any event, it seemed to come to a happy end, and I was whisked off to a book-signing and then to a radio interview with BBC Scotland, which turned out to be conducted by three pupils from a local primary school. So, for me, the whole experience was a memorable one, to say nothing of the spectacular view of Edinburgh Castle from my hotel window, complete with night-time illumination and festival fireworks. 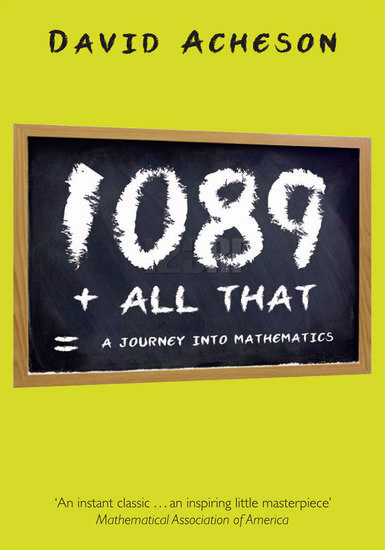 David Acheson is the author of 1089 and All That: A Journey into Mathematics. He is an Emeritus Fellow of Jesus College, Oxford, and was recently President of the Mathematical Association. He is also the author of From Calculus to Chaos: An Introduction to Dynamics. Subscribe to the OUPblog via email or RSS. Subscribe to only mathematics articles on the OUPblog via email or RSS.